According to the National Association of Realtors, vegetable gardens make the list of hot home trends for this year. Whether you’re a seasoned green thumb or have never intentionally put your hands in the dirt, a small garden can really spruce up a kitchen windowsill or back porch. Unlike flowers, growing vegetables and herbs give you an end product you can use. You can easily keep a small container garden without tilling any dirt. Interested? Here are some tips for starting and maintaing a garden. Do you love pesto? Buy a couple basil plants. Do you eat tomatoes on all of your salads? Grab yourself a few tomato plants. The beauty of having your own garden is that you can grow exactly what you want to eat. Don’t be scared to venture out and buy a more exotic herb. There are many varieties of mint, from chocolate to pineapple. Aloe vera, which soothes burns, is another great plant to have on hand. Also consider choosing plants to create a variety of colors and texture in your garden. Herbs can dry out quickly, so it’s important to water them daily. If you have tomatoes, check the soil before you drown them in water. If the soil is still moist, hold off for the day. 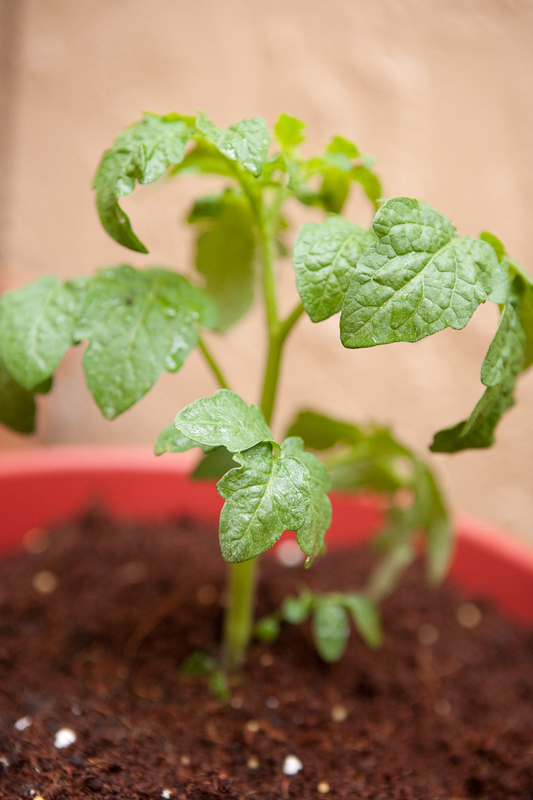 Tomatoes are easy to overwater, so make sure the soil is dry before pouring. Water at the base of the plant, not on the leaves. When your plants are ripe for the picking, try some of these recipes that use fresh herbs and vegetables. Pesto with a twist: this one has spinach in it.